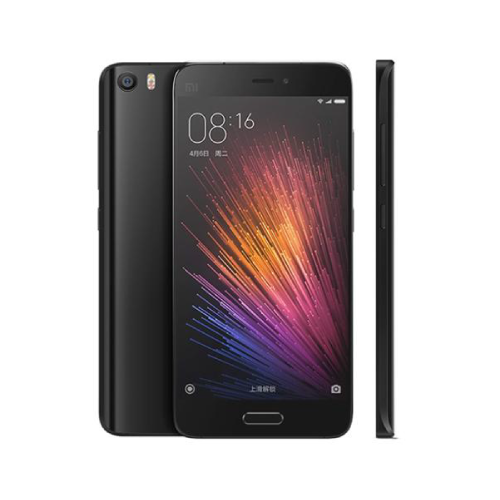 Xiaomi MI 5 64GB is one of the best flagship smartphones from Xiaomi. It is rocking a Snapdragon 820 and comes at a relatively cheap price. Xiaomi MI 5 64GB flagship properties are endless. It comes with a 3D glass of the Mino with fresh design aspects such as the physical home button and a curved Gorilla Glass. For the rear is an angular metal frame and illusionary basilis display combined to form a recognizably flagship design. The phone is also very comfortable. It is also very easy to hold in the hand thanks to the glass rear and gradual curves outside. Power and volume keys as well as its flush camera optics are notably well implemented. The symmetrical bottom frame design is visually pleasing in the IR blaster. On the top of the device is very nice for controlling televisions and household appliances. The MI 5 one-handed usability is improved even further by its relatively small 5.1 5 inch display and a 1080 p. 1080 p panels are cheaper, use less power and the vast majority of users won’t be able to tell the difference compared to quad HD. Besides all Xiaomi has improved on the resolution with vibrant and saturated colors deep and excellent viewing angles. Sunlight readability is good with an adaptive brightness feature. One purchasing the Xiaomi MI 5 64GB you’ll be getting a Qualcomm Snapdragon 820 under the hood which is one of the best ARM chips currently available. That’s very apparent when using the V5 even for just a minute even with an impressive Adreno 530 V5. The phone is an unlocked dual SIM device. Depending on the location one can missing out on 4G LTE but will be able to receive HSPA+ in all areas. Xiaomi has embedded a fingerprint reader within the physical home button which is very accurate and incredibly fast beating the Nexus 6P. There are two speaker grilles at the bottom of the device the left is presumably a microphone as sound is only emitted from the right grill the speaker. Xiaomi did adapt the USB type-c 1.0 standard and also Qualcomm quick charge 3.0 onboard. You can even get nearly 85% in nearly 30 minutes with a 3.0 charger. Battery life is very impressive thanks to the 3000 mAh high-density battery. MI 5 lasts through a full day of use and always end with very good screen on time values comparable to those produced by the Galaxy S7. Xiaomi MI 5 64GB gives us a 16 megapixel f 2.0 Sony rear camera. The camera performs very well in ideal conditions. Images always come out sharp and detailed with a good amount of dynamic range the color reproduction. There’s also a dual LED flash on back which does help even out skin tones. The 4 axis optical image stabilization does help quite a bit in ensuring less motion blur. A 4 megapixel 2.0 front-facing camera also performs well especially with its larger pixels size the camera. It’s running new UI 7 / Android 6.0 Marshmallow. Many have dismissed the UI as being too similar to iOS while a few have highlighted chummy’s attention to detail and the amount of customization. The entire UI also has advanced features built-in like call recording and scheduled battery profile changes. MI 5 comes with 64 GB of internal storage with very less installed applications. Xiaomi MI 5 is an excellent phone. It undercuts the best smartphones in price.